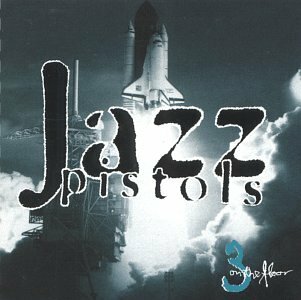 JAZZ PISTOLS - EUROPEAN JAZZ FUSION with rock leanings -"Eclectic Earwig Reviews Music and More for You!" grooves and dizzying ensemble cohesion on tunes like "Three on the Floor,"
great Jaco Pastorius on an infectious cover of "Teen Town," the final track. the floor to Schäfer for some potent guitar-shredding. "Man In the Woods"
romp, with some high-velocity clean soloing by Schäfer.